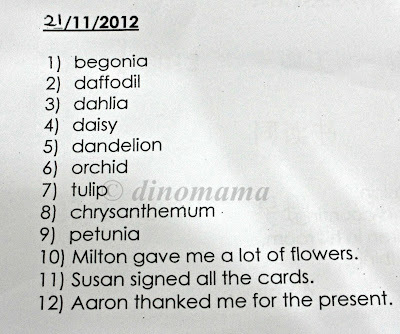 Following my post on DinoEgg's October spelling list, here is his November/December list. 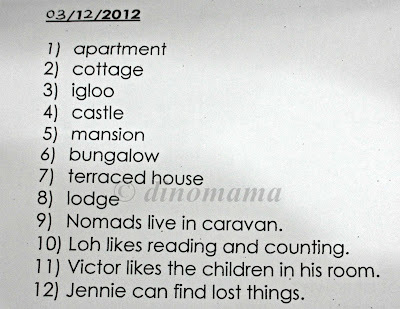 Not as difficult as before but still a challenge for some words. 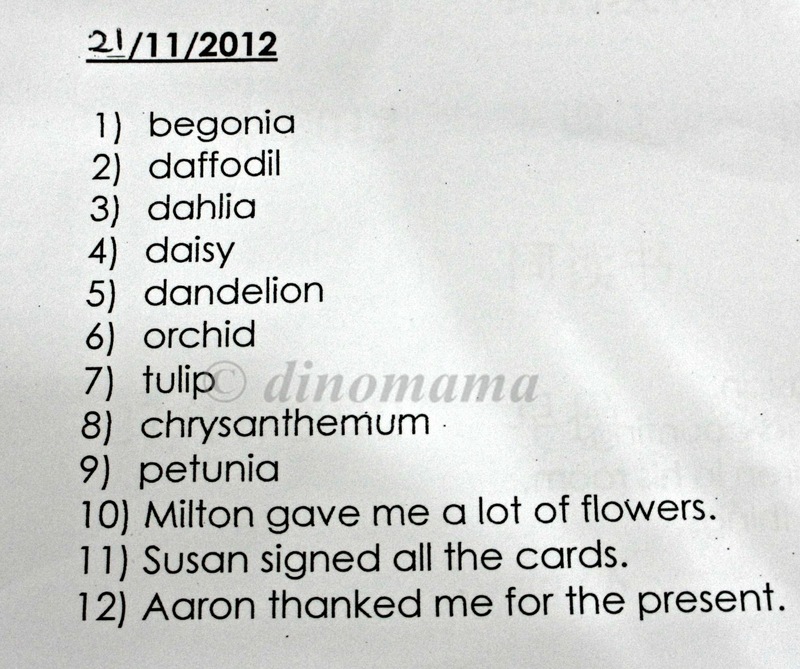 Chrysanthemum is a long word... which I only seriously know how to spell w/o T9's help earlier this year. 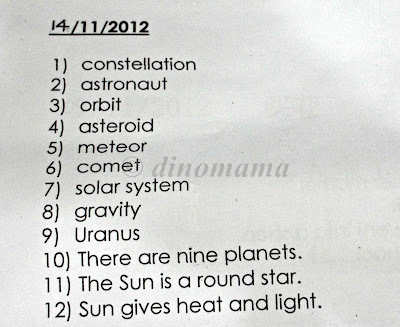 This was ..so much difficult than my kindergarten years 10 years ago.. Seriously, do we really need to teach our kids how to spell all the different types of flowers at K2? Chrysanthe..what??? I can bet you some of the JC kids I'm teaching probably wouldn't be able to spell "enthusiastic" at 17! Gosh, and what's with "sentimental"? How to explain the meaning to a 6-y-o? imagine using phonics to try to spell it, I bet you my son will get confused. Hey the standards from that childcare so damn atas leh..even my son who was in K2 last year did not learn such "chim" ang moh. Amie, mine is neighbourhood child care centre, not those with sky high school fees. However I am grateful that I am paying such an amount to the school who has good curriculum and excellent teachers but sometimes it really pains me to see him struggle with school work that is suppose to be for older kids. That is too much!!!! Poor little dinoegg. I don't even know what is petunia??? 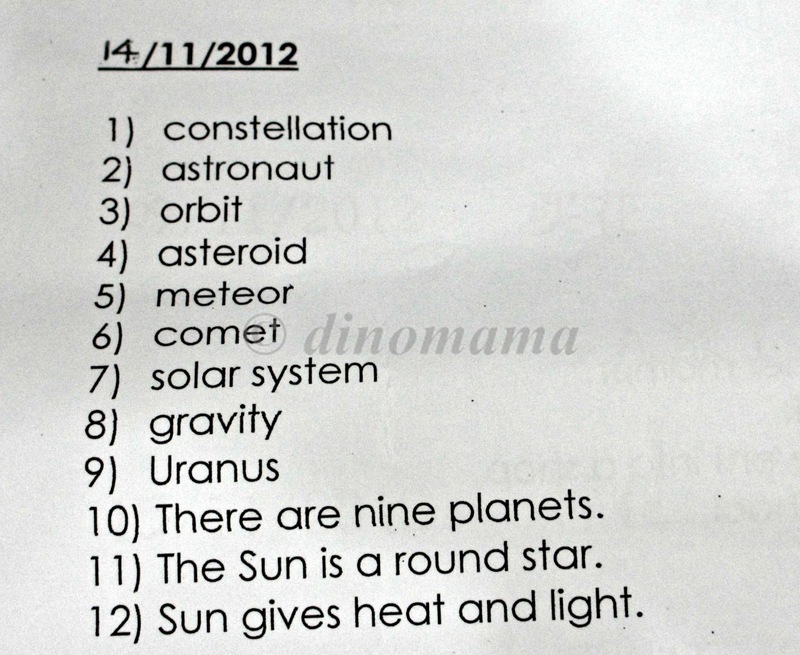 The teacher must be teaching Kids to be Genius. ya what is petunia??? hahaha~ some kinda of tuna fish?? 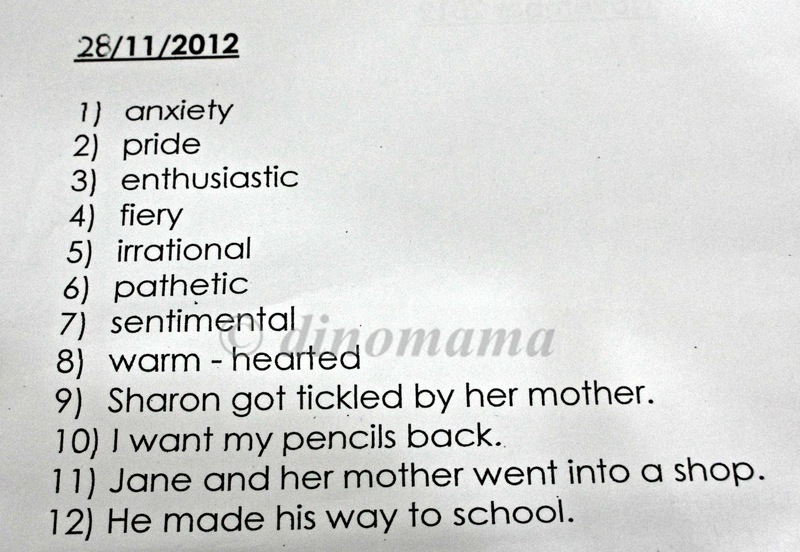 And if some one compare their child with what he is learning, they will panic n freak out! 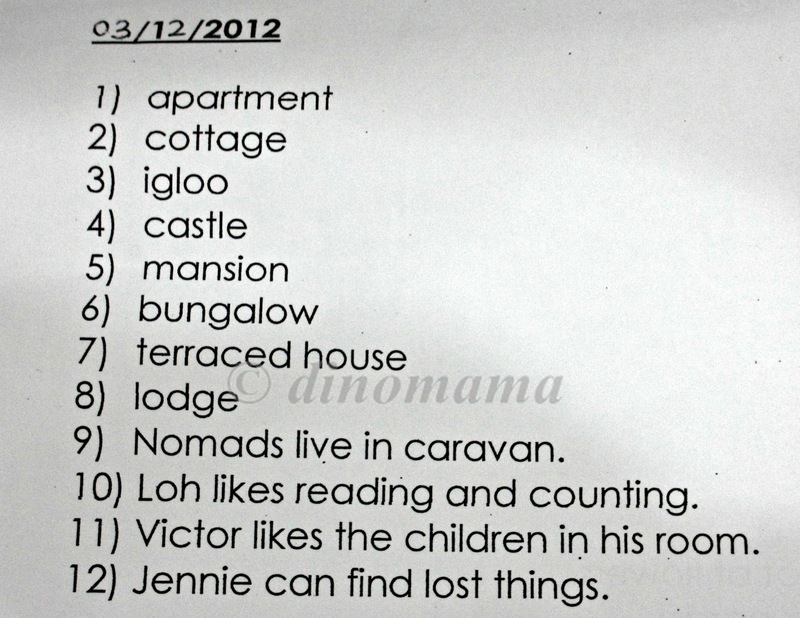 i asked my colleague she say all this spelling will only be use in p3. you never complaint to school? make parets more stressful then kid. I didn't as the words only get so difficult recently. Anyway few weeks to go before they graduate so just let it be. wow K2?? 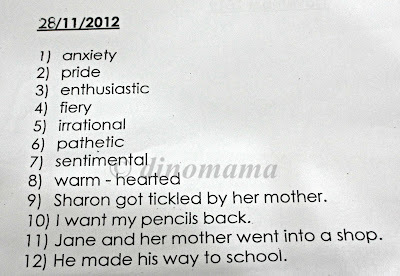 it's not just the spelling, but the meanings behind the words are a little difficult I reckon for a 6 y/o. Yupe drilling n going through over n over again. Of course we try to make it interesting by letting him type out the words in google search so that he can see what is that word. He's very excited when he does that.